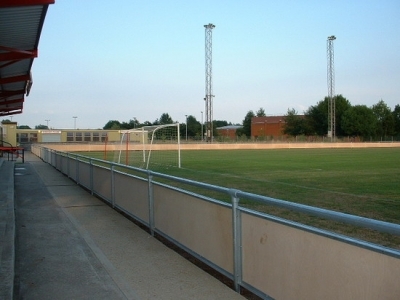 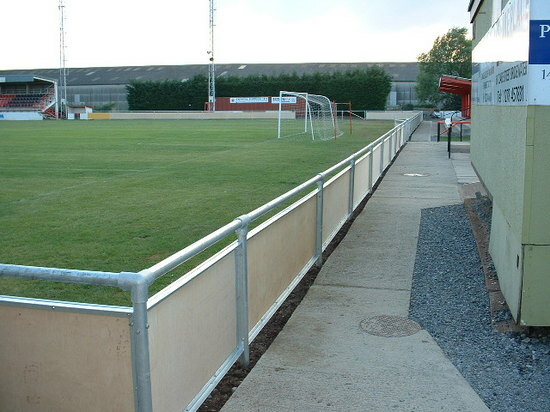 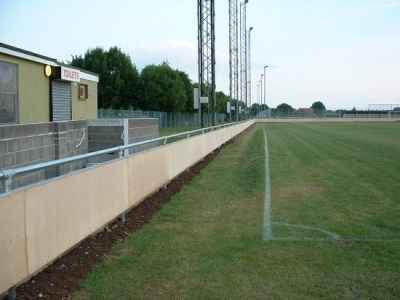 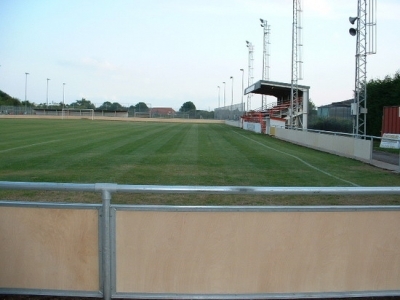 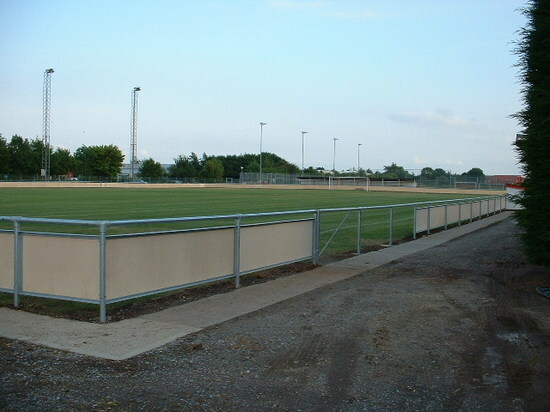 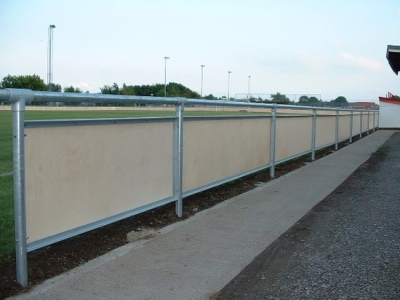 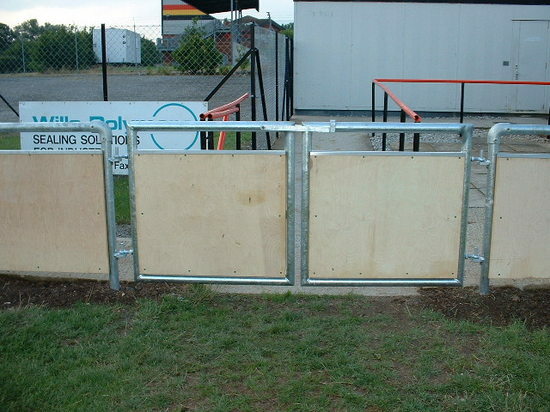 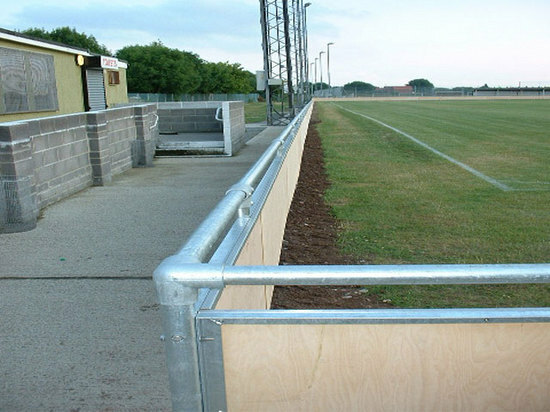 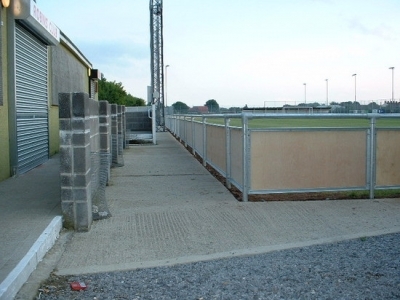 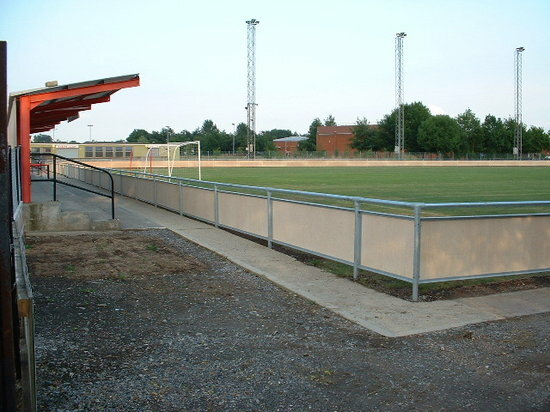 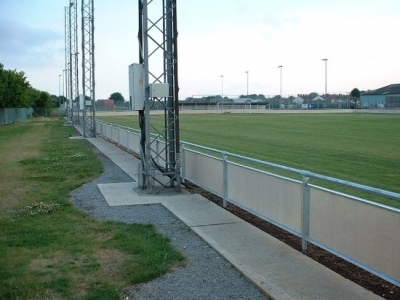 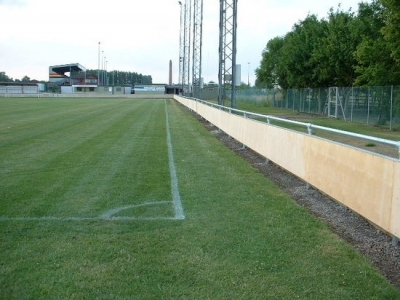 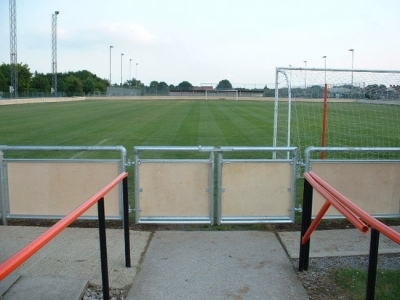 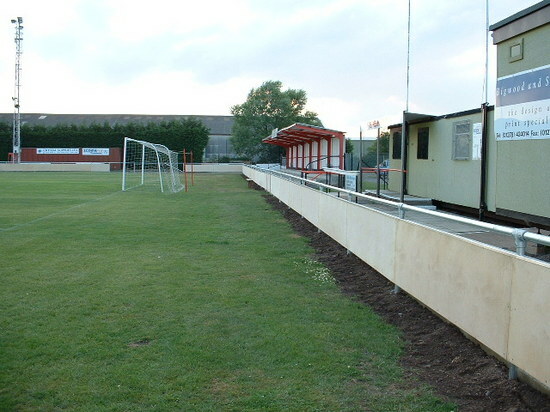 Bridgewater Town football club had to replace their old spectator handrail because it did not meet the new Football Association specification. 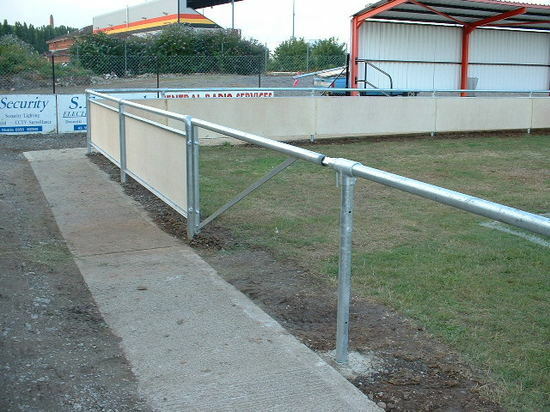 We removed all of the old damaged steel barrier and the old boarding, once we had cleared the site and dug the post holes, we could begin the installation of a new purpose built handrail system. 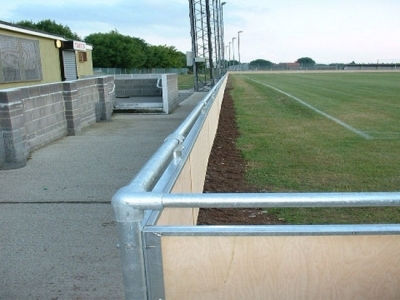 It included upright posts, the handrail, bespoke fabricated angle steel frames, clad with plywood which enabled advertising boards to be fixed below the handrail. 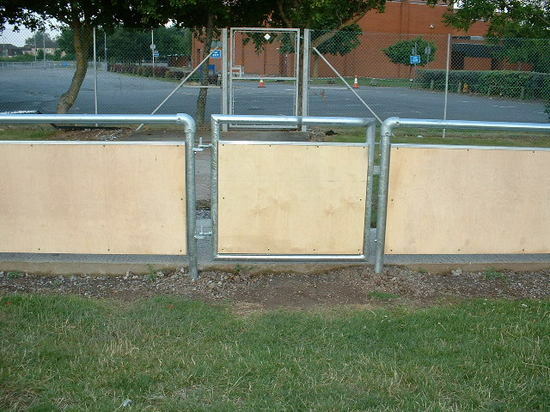 Specification: Hot dip galvanized mild steel tube and equal angle framework, key clamp fittings, Birch WBP plywood treated with Dutch oil, folded 304 stainless steel weather capping for the plywood edge.